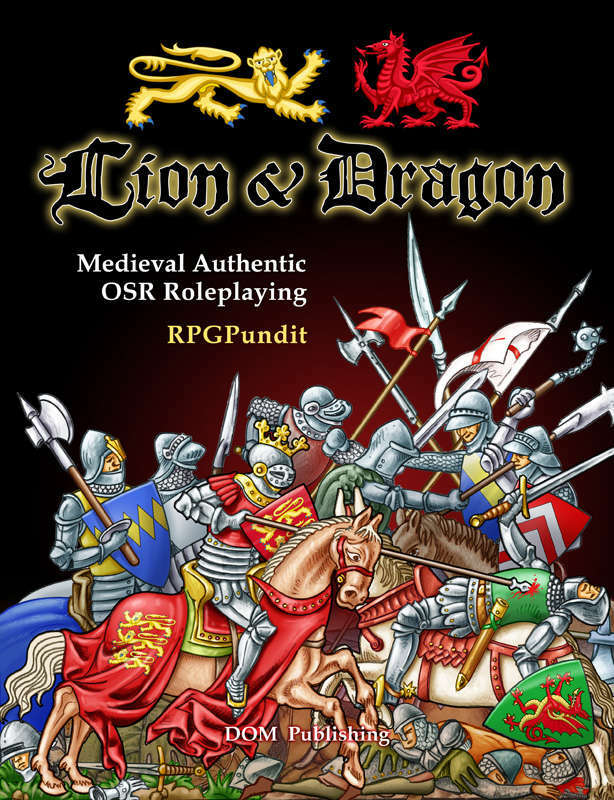 The RPGPundit: Lion & Dragon at Garycon! Lion & Dragon at Garycon! So this is just to let you all know that apparently the awesome RPG writer Jobe Bittman is going to be running Lion & Dragon at Garycon! It's going to be run twice at Garycon, at a 1pm slot and an 8pm slot. So be sure to check it out if you're going to Garycon, you won't regret it. Even if the adventure being run doesn't sound like the most appealing to me, I'm sure that Jobe Bittman will have the chops to adjust it enough to the Medieval-Authentic context of L&D to make it worthwhile! Some Positive Notes on Cult of the Saints! 20 More Dubious Items of the Last Sun! 3 More Occult Killer Antagonist Scenarios!